Many times, patients are injured through no fault of their own but their health insurance will not cover their medical expenses. Depending on the type of accident or personal injury, lawsuits can take years to settle but in the meantime, the patient needs medical attention. Different types of litigation funding, including medical lien portfolio funding, can help patients ensure they receive adequate medical care, while also ensuring that the medical care provider receives prompt, full payment for services rendered. By obtaining such legal funding for medical care, patients and medical care providers can work to ensure the patient receives necessary treatment, while his claim works its way through court. Send your Medical Lien request to a legal funding expert who will review your request at NO COST or obligation. Medical lien funding is used in situations where an injured party does not have adequate insurance to pay for medical services needed to treat a personal injury. In such cases, the patient often either does not receive the required treatment or the physician agrees to perform the treatment with a lien against the patient's personal injury case. The problem is that the physician has no way of knowing if the patient has a viable claim so he has no way of knowing if he will receive payment from the client's case. Furthermore, if the case takes a few years to settle and pay out, the physician will not be paid interest on the loan and may have to spend his own time and money tracking the liens to ensure he is paid. A medical lien funder will evaluate the personal injury case, enter into a lien agreement with the patient and attorney and provide the fees for medical services rendered in exchange for being repaid once the client's lawsuit is concluded. Working with a medical lien fund provider allows the medical care provider to focus on treating his patient, while the funder worries about financial matters. The physician is paid for providing treatment as he normally would be, and the funder takes care of collecting payment from the client. Typically, even if the client loses his lawsuit, the medical care provider is not required to pay back the money forwarded by the medical lien funder. Working with a medical lien portfolio funding provider also enables medical care providers to accept more personal injury clients because their time is freed up to provide medical care and because cash flow is more consistent. 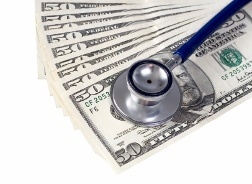 Medical lien funding gives medical care professionals consistent cash flow. Money advanced to the provider is done on a case-by-case basis, factoring in the amount of care given, the likelihood that the patient will require ongoing care, and the length of time it will take to settle the case. For a case to be taken on by a medical lien funding provider, the patient must be represented by an attorney in a present claim or lawsuit; the injuries being treated must be related to an accident in which liability is clear; and the attorney involved must acknowledge a lien in the amount of the medical bill. The physician simply has to confirm that treatment has been provided to ensure he is paid for his services.